Melissa grew up in Kettering, Ohio where she graduated from Kettering Fairmont High School before moving to Columbus. She studied at The Ohio State University and graduated from Capital University with a Bachelor of Science degree in Psychology. 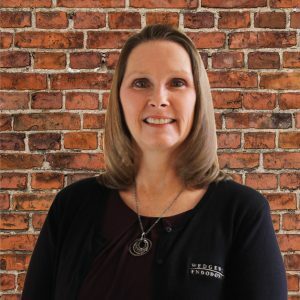 Melissa has twenty plus years of experience in the dental field. She has worked and managed general and orthodontic practices prior to happily joining Dr. Ettrich’s staff in 2011. She is a member of the Central Ohio Study Club. Outside of work, you might find Melissa at a baseball field with her son, a dance class or the softball field with her daughter, or at home enjoying the latest crime novel.